Call or Click to Save on Oshawa Car Insurance! We Can Save You Money : Who doesn’t want to save money on their auto insurance rates, right? As independent insurance provider, we can help you save money by getting you the cheapest quotes from more than 40 insurance companies. We Give You Lots Of Choice : We work with some of the best insurance providers in Ontario, providing you with the best car insurance pricing and policy options. We have car insurance options for all types of drivers – seniors, new drivers, high risk drivers, and anyone who is shopping for car insurance in Oshawa. We Are Customer Focused : At ThinkInsure, we work for you. We are your trusted advisor, and we take our job seriously. Our main objective is to get you cheap auto insurance quotes and ensure your car insurance needs are met. Our team of licensed insurance experts are always here to assist you. Working With ThinkInsure Is FREE! : Perhaps the best part of working with an insurance broker in Oshawa, besides the cheap car insurance coverage options, is that working with us is 100% free. Whether you get an Online Quick Quote or you call 1-855-550-5515, Cheap Oshawa Car Insurance is what you can expect when you choose ThinkInsure. Saving money on car insurance is the goal. However, while most drivers in Oshawa understand that they should get a car insurance quote to get the cheapest car insurance possible, many still don’t – leaving money on the table. 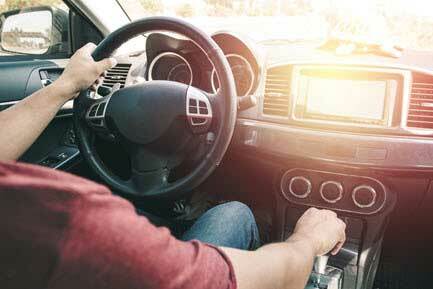 These simple yet effective tips can all help you lower the cost of car insurance. Couple these tips with a car insurance quote, and you will put yourself in a better position to get cheap car insurance rates without sacrificing high quality coverage. We know you are busy. However, taking a few minutes out of your day each time your auto insurance policy comes up for renewal to get a quote with ThinkInsure can save you hundreds of dollars on the cost of car insurance. Plus, we make getting a quote with us as simple as possible. All you need to do is gather your driving and insurance information and fill out a quote online or give us a call and speak directly with one of our brokers. Once we have your information, we will compare car insurance rates from more than 40 of our insurance partners in Ontario to help you find the best rates. We provide you with options, and you choose the car insurance coverage that best meets your driving needs. Discover the ThinkInsure Broker Advantage to learn more about the benefits of working with an insurance broker in Oshawa. Getting away from the congested downtown Toronto traffic is not the only good news for Oshawa drivers. Even though Ontario has some of the highest car insurance rates in the country (average of $1920 per year), and cities in the GTA tend to have the highest rates on average, Oshawa is not in the top 10, making it a great location to consider living. This is one of the many reasons why Oshawa has become one of the most popular commuter towns. With a population of more than 150,000 residents and growing, and located about 60 kilometres from downtown Toronto via Highway 401, residents can quickly commute to and from work. Plus, residents have access to GO Transit trains if they prefer not to deal with the traffic. Once regarded as the automotive capital of Canada, community roots are tied to the auto industry. It is home to General Motors Canada and the Canadian Automotive Museum. It has since grown into an education and health sciences hub as it is home to Durham College, University of Ontario Institute of Technology, and Lakeridge Health Oshawa. Having dependable car insurance in Oshawa is important. With 4 in 5 residents being old enough to drive, and with the vast majority of residents choosing to drive to work, there are a lot of cars on the road. With 36% of drivers failing their G2 test and 29% failing their G license road test in Oshawa, it’s important to pay extra attention to your surroundings when driving. Avoid becoming one of these stats by reading G1, G2, G - Ontario’s Graduated Driver's Licensing System Guide. Get Your Fast and Free Online Insurance Quote. Prefer to talk? Call1-855-550-5515. Watch out for those one-way streets – the city is known for its sometimes confusing one-way streets. With shorter than normal on-ramps to the 401, it’s important to get up to speed as quickly as possible so you can merge into traffic effectively. With the lake effect snow in the winter, driving conditions require that you have good quality snow tires. To beat the traffic and to give yourself more options, it is worth investing in a transponder for Highway 407. Plan for traffic and give yourself some extra time when driving into the city. If you are in a rush, consider taking Highway 407 toll road. With cheap car insurance and these driving tips in your arsenal, you can drive with confidence in knowing that you are covered. Time to renew your policy? Get an Online Quick Quote OR call 1-855-550-5515 and talk with a licensed broker to start saving on your Oshawa car insurance today.